I finally got to meet little Ari today after taking his momma's maternity pictures a few months ago. He was just precious and looked exactly like his Daddy. And his big sister was so wonderful with him today and even got to hold him, which I told her was only for big helpers. We did end up wrapping baby brother up to make it easier, but she was so cute holding him. I also just love how Mom brought a rainbow blanket she had made for her kids as both these angels are her rainbow babies. These are the reasons why I absolutely love my job preserving such amazing memories for families. Ari loved being wrapped or on his tummy, and said absolutely not to anything on his side. But I will say he loved the taco pose with his toes all tucked under his arm, so I took advantage of that and got some great close ups of his toes and tiny features. It still never ceases to amaze me how newborns love to be so scrunched and folded. And it only last for such a short window of time! Thanks to this family for letting me preserve these memories for you today and I so look forward to getting to take Ari's photos during his first year and watch him grow and change. 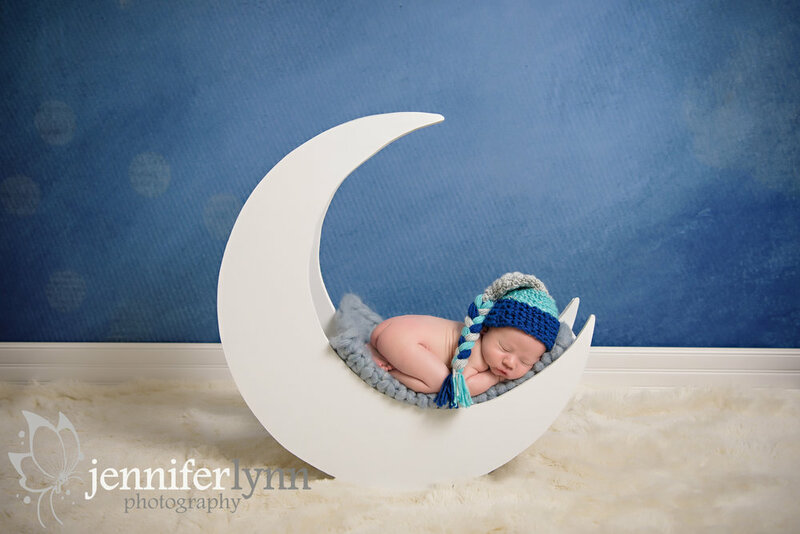 A newborn boy lays curled up on a moon prop wearing a long blue and grey knit cap on a soft blue bump blanket. Big sister hold her baby brother on top of a rainbow blanket their mom made for her two rainbow babies. A newborn boy lays curled in a blue wrap on a soft fur. 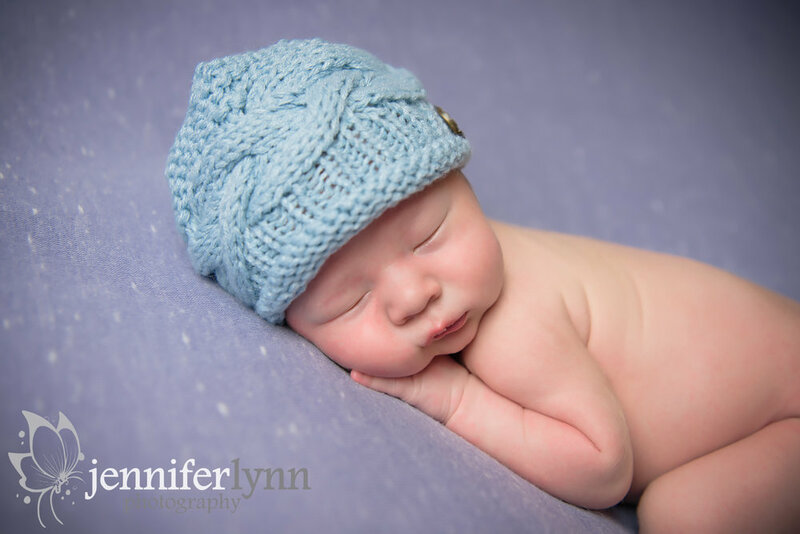 A newborn boy lays on his tummy curled on a blue blanket on a beanbag wearing a grey and cream pixie bonnet. A newborn boy lays on a grey blanket curled in taco pose in just his birthday suit. Sign up with your email address to receive news and updates, and other VIP information each month. We respect your privacy. All emails collected are for newsletter communication purposes only.